<< Samurai Measuring Sword available NOW!! 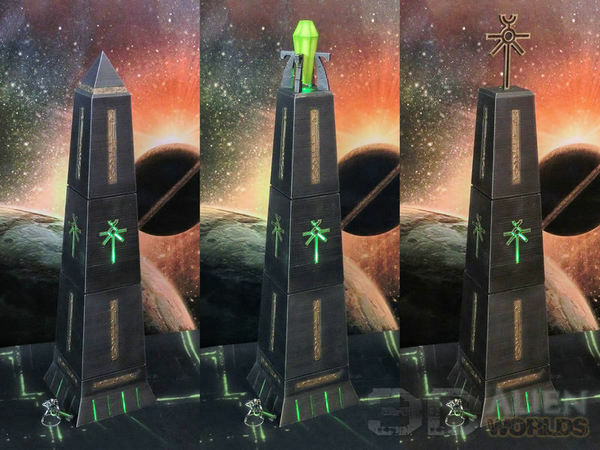 If you're looking for some absolutely HUUUUUGE obelisks for your Necron-themed gaming table, look no further than this imposing 33 piece set, available for download today!! 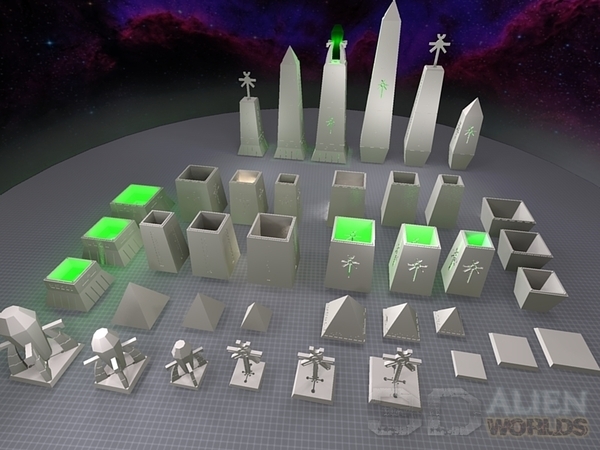 This first picture shows 3 of the options for the top section - pyramid top with engravings, energy crystal version, and Necrontyr symbol version. 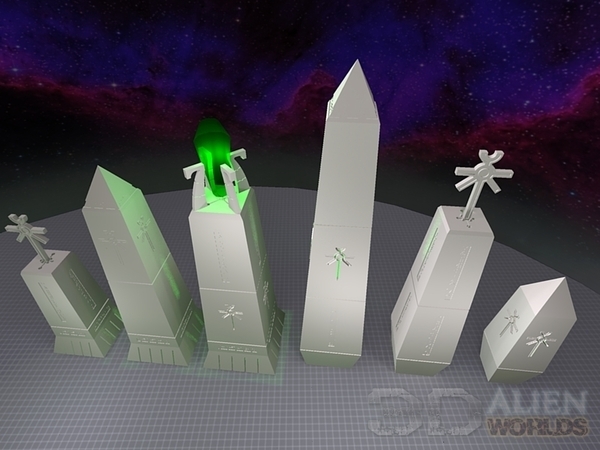 There are 5 top section versions included, in 3 different sizes, so you can mix and match small, medium and BIG obelisks! 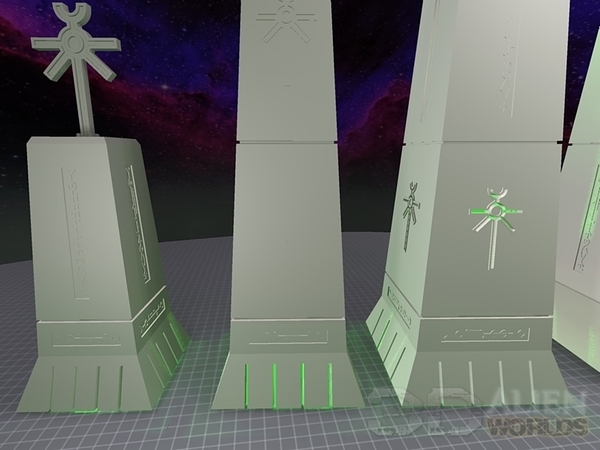 ▲ This picture shows the 2 different base sections for the obelisk - the plain version (on the right) and a version with cut-out vertical vents and engravings, designed for LED lights. ▲ Oh look! 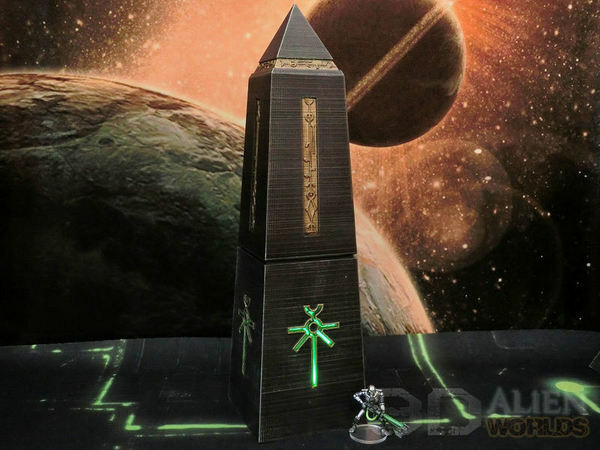 In this photo of a medium-sized obelisk you might actually notice Ned the Necron, who was so tiny in the previous pics that you probably didn't see him! 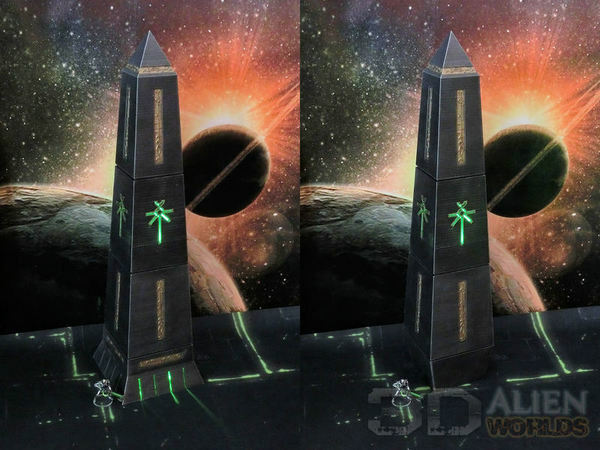 Be warned, printing a 3 level obelisk at 100% scale makes a monument approximately 50cm (20") high!! 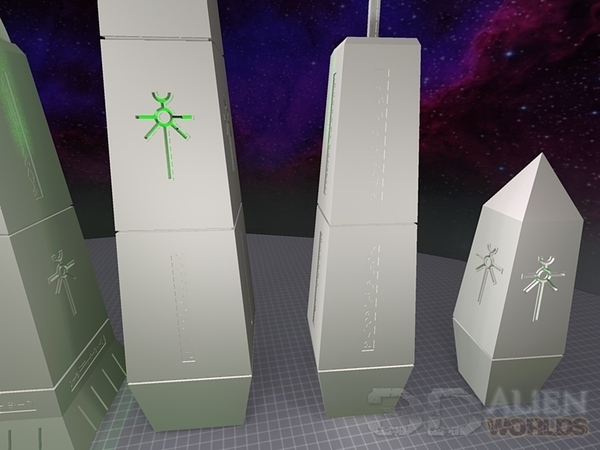 You can, however print at smaller scales without problem, down to about 50%, if you prefer. ▲ Close-up of the 3 top sections (please excuse the poor painting ). 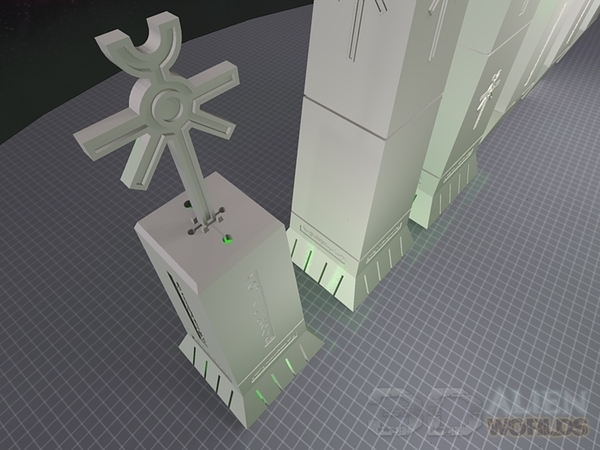 The Necrontyr symbol version and energy crystal version both have cutouts, allowing you to fit more LEDs if you want to uplight them with extra glow. 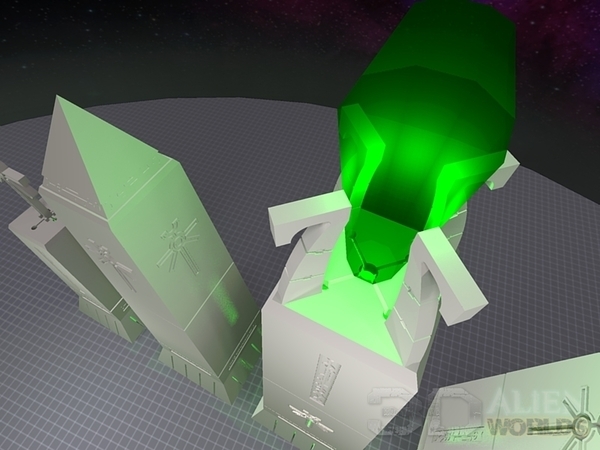 Additionally, you could even print the energy crystal in coloured clear filament to allow LEDs to glow through. ▲ Here is the set in its entirety. That's a lot of pieces, right? ▲ You are free to mix and match components. 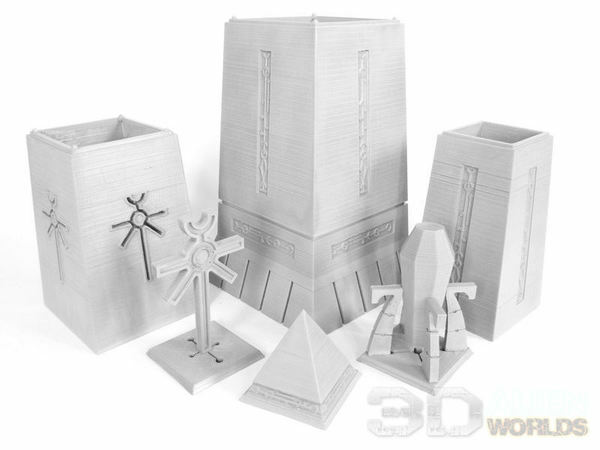 All the versions are included as 3 different sizes, allowing you to match bases and tops with any size of section, so you can have a variety of obelisk heights on your table. 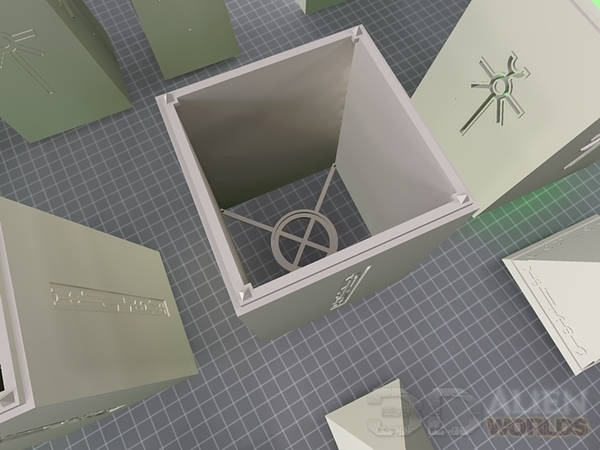 ▲ Vent sections and LEDs are a great combination! ▲ The Necrontyr symbol can either be printed in one piece (with a flat back) or as two halves (with indented detail on both sides). 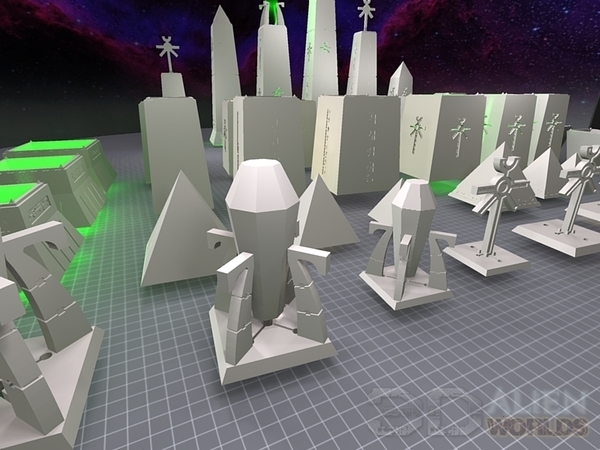 Both versions are included in the set. ▲ Two versions of the Necrontyr symbol body sections are included - one which is solid and can be painted with or without a glow, and a second (pictured) with cutout parts. 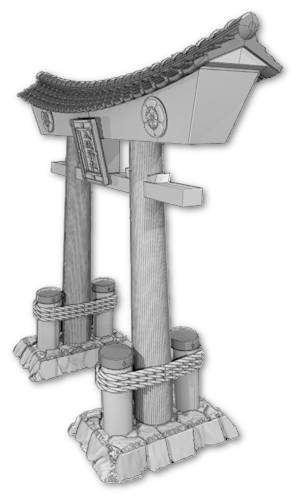 The cut-out version is of course designed to be used with LEDs inside. 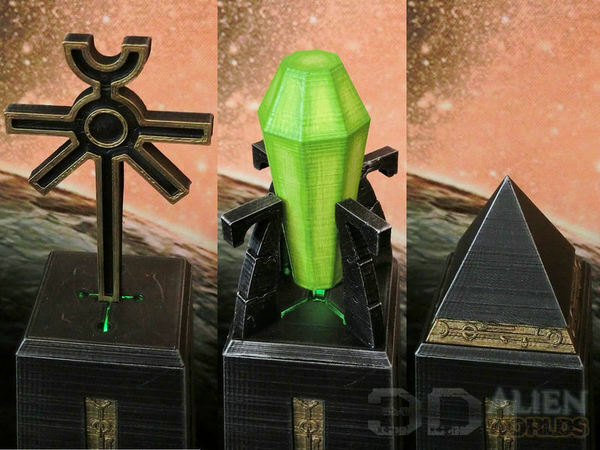 ▲ 3 sizes of energy crystal are included, to suit whatever size of top section you choose to print. ▲ Body sections include these LED support brackets, in case you want to place lights inside. Phew! I think that's all the pics for now! !